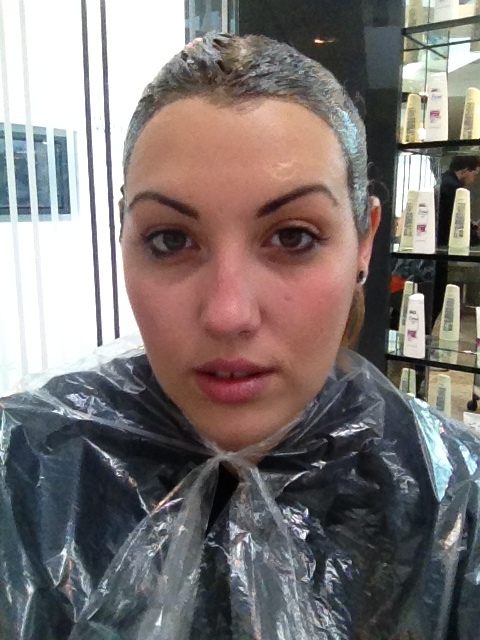 As I said in my last post I have taken up the Dove Colour Radiance Live Challenge. 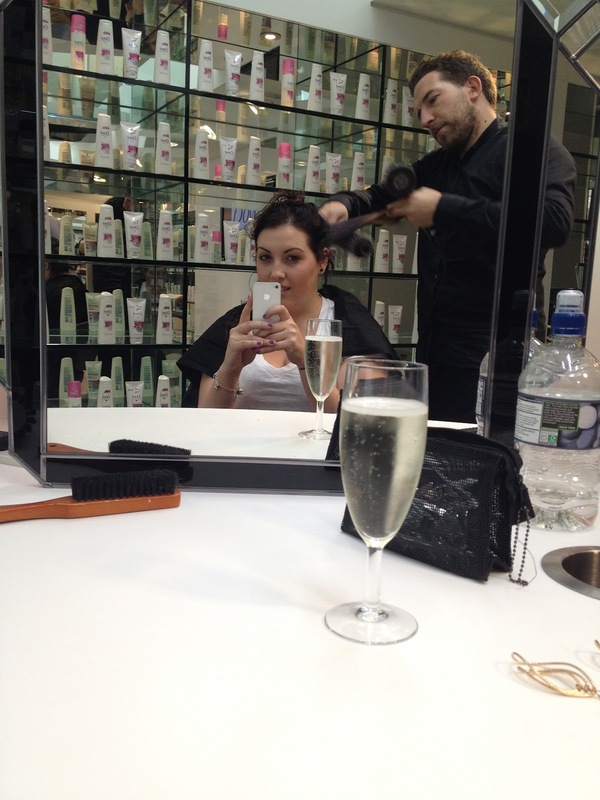 The lovely people at Dove invited me up to the Salon at Dove HQ where they pampered me to death! Firstly their HQ is amazing, it was an early start for me, but when I arrived they had fresh fruit, croissants and juice waiting for everybody! There were 5 or 6 of us being treated to a professional colour. We all had our ‘before’ shots taken and then met our hairstylists. The plan for my hair was to do my roots and balance out my ombre hair so there wasn’t such a contrast between the top and bottom. 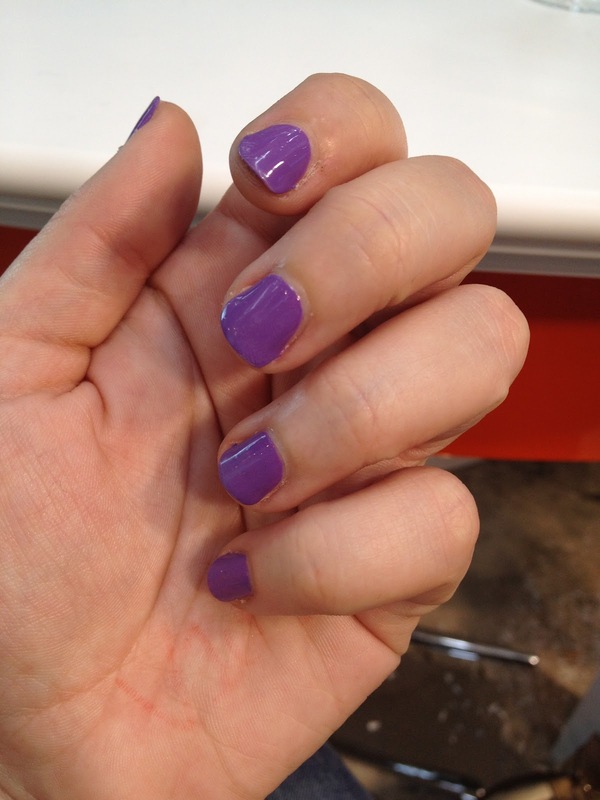 While the colour was in my hair I was also treated to a lush lilac manicure and a couple of glasses of Presecco (so glad I chose to train it instead of drive!). 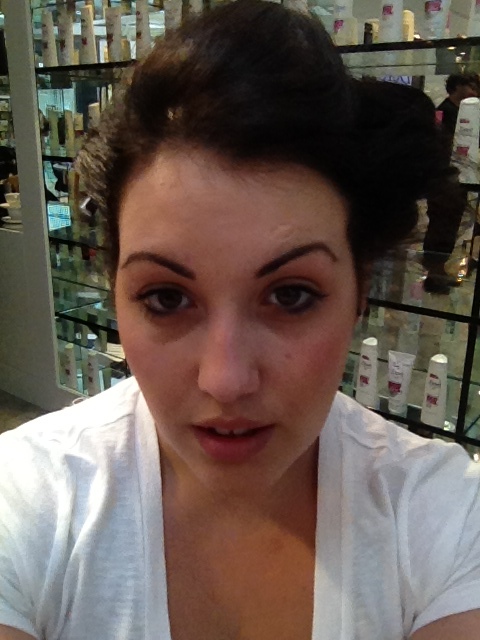 My hair was then washed out, blow-dried and left in curlers before it was styled for my ‘after’ photo. All the photos and video footage from the day will be posted on the Dove facebook page later on this week! I absolutely love my new hair, it looks so much softer than before and I like the subtle transition between the two colours. Now for the challenge I will be testing the whole of the Dove Colour Radiance Live range* for four weeks and sending them five photos a week to see how well it keeps my colour. I will keep you guys up to date as to how it is going and will introduce you to each product as I use them.